Specific costs are available on application according to each of our customers agreed requirements. This page is an outline for guidance concerning the scheme of charges involved in purchasing and siting a mobile home on one of our plots. A deposit of £1,500 is payable on application to reserve a plot on our sites. To secure our customer's position we make our plots available on long term rental agreements. These 10 year leases are charged out with a lump sum payment at the commencement of the agreement and then a smaller annual payment each year that it runs. The £1,500 plot reservation deposit is credited against the initial lump sum payable on signing the plot rental agreement. These are at the customer's own expense. 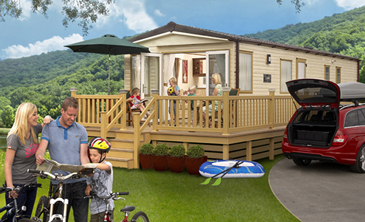 However our team will give every assistance in organising these visits to view our Park facilities and if the customer then goes ahead with a purchase from us a credit will be given against their costs of £200 if they have previously been on a site viewing visit organised through Europark Homes for the site they purchase at. Once we enter into an agreement with a customer to supply them with a mobile home and site it on the plot they have reserved we provide a schedule of payments concerning the supply of the mobile home. 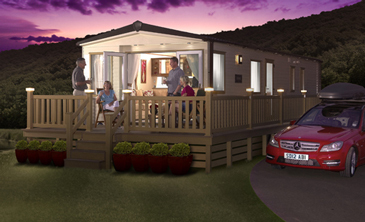 These payments are all inclusive and cover the base cost of the mobile home, all appliances and fit out specifications agreed at the point of purchase with the customer, together with shipping from the UK, transport from the destination country port to our park site, anchorage to the pitch, and connection to water, sewerage and electricity services. 25% at the point of purchase. 37.5% when the mobile home is complete and ready to commence shipping. 37.5% when the mobile home is fully installed and ready for occupation on it’s destination park. Anything agreed with the customer after the point of purchase will be the subject of a separate invoice outside of this scheme of charges. This is available on application and is in line with current UK annual management service charges. It is payable annually to our local park management company. Electricity, water, and gas are the subject of charges according to usage by our local park management company. Rates are available on application and are not unreasonable.